Alo Apparel Size Chart Some days you're in your own zone! 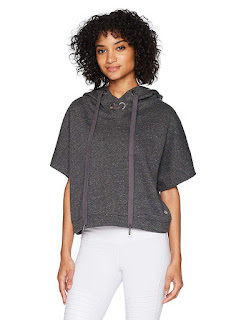 Tri-blend fleece fabrication makes this top easy to take to the street. 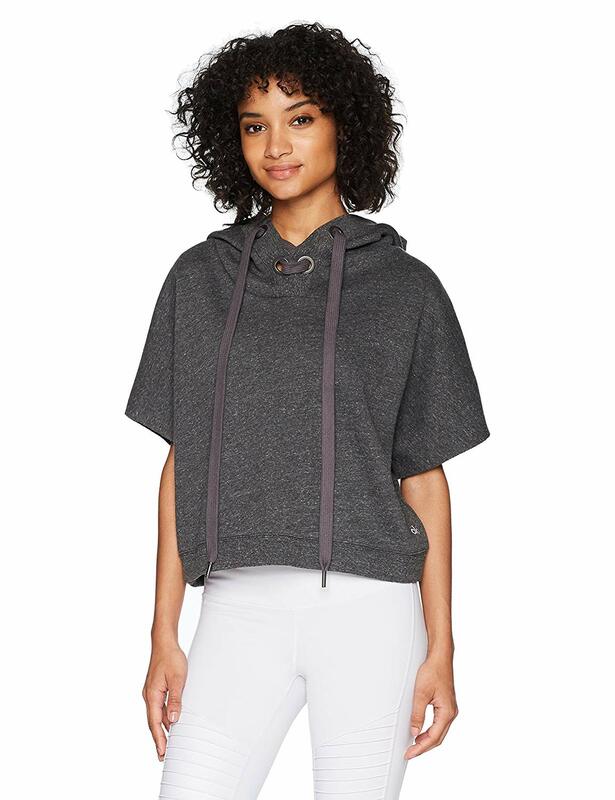 Attached hood with an oversize lace-up panel. Short dolman sleeves at sides. Cropped banded hem. 50% polyester, 38% cotton, 12% rayon;Contrast: 48% polyester, 36% cotton, 11% rayon, 5 spandex. Machine wash, tumble dry. Imported. Measurements: Length: 20 in Product measurements were taken using size SM. Please note that measurements may vary by size.